Every year I challenge myself by running a half marathon in Stockholm, Sweden. It's fun and and never fails to lift my spirits even higher. This year, the race is on September 11, 2010. Since my wife and I were in New York City on that tragic day (September 11, 2001), I came up with the idea to run a race in memory of the victims of 9/11. I have several people interested and hope they will stay committed. It will be exciting to have a group of friends and acquaintances running together for a worthy cause and to help ease the sometimes tedious aspects of running of 13 miles (21.1 kilometers). All the participants who run with me can raise money on their own in order to collectively give a group donation to a cause related to 9/11. 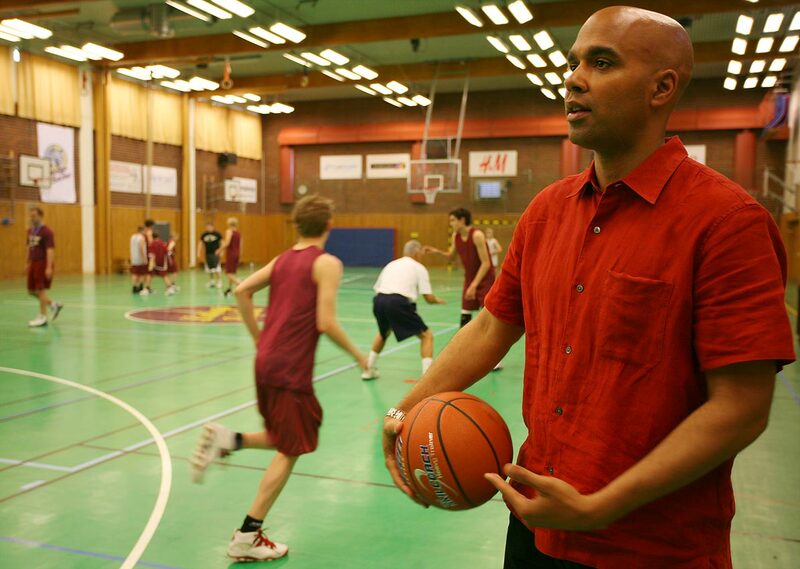 We will decide as a group which organization or person will receive the funds. 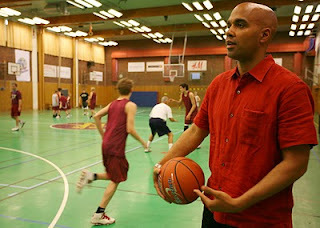 In addition, my youth program, "The American Basketball Coach in Sweden" (http://www.gswede.blogspot.com/) will make one of the first donations. If you missed my article about my experience in New York City on 9/11, a few paragraphs and the link to the story are below. I 'll never forget the wonderful giving I witnessed that day. Ten strangers (myself included) put our collective brains together and realized that on this gorgeous sunny day many of these tired people would need water as it was a long walk over the bridge and even longer for those coming from upper Manhattan. A few of us went to the local store to get cups while others went for the water. The store was reluctant to give us free cups (capitalism at its best) until we basically forced them to be a little compassionate if only for one day. We weren't taking NO for an answer. We spent the afternoon handing water to people walking over the bridge. Most were very thankful and some seemed like it was life saving as they were so badly out of shape. Not much was said between the strangers or the people on the receiving end as the toll of this day had been so extremely exhausting on everyone. It felt good to be doing something for others on a day none of us would forget. Please join us as a runner or supporter for the Stockholm Half Marathon. My goal is to complete the race in 2 hours. Some years have been better than 120 minutes while others have been longer although I have always finished the races including the 2006 Stockholm Marathon of 26 miles (42.2 Kilometers). If you have become a winter couch potato or haven't lived up to your exercise potential, this is a good opportunity to rise up, challenge yourself and get back into the shape you desire. Remember, there is nothing more important than our health.